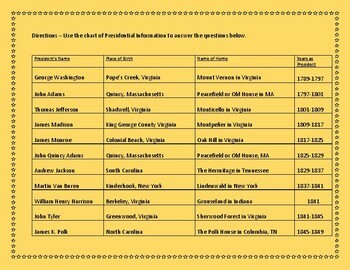 Do you know how many Presidents were born in Ohio? 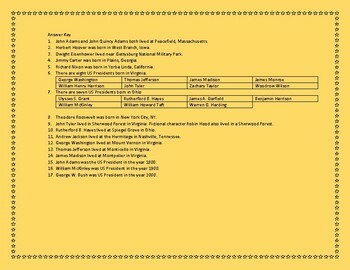 Your students will once they have completed this worksheet. 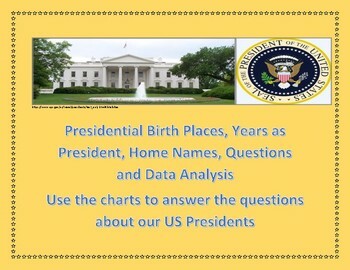 Presidential birthplaces along with Presidential homes and years served as President are included in the charts. Your students will need to use their data analysis skills to answer the 17 questions included in the assessment. An answer key is also provided. This assessment works with math and social studies skills.